Cetacea recognizes that each client and every project is one of a kind with specific needs and unique opportunities. Project plans and execution are thoughtfully customized to suit each client's situation with Cetacea services ranging from a consultation to joint collaboration to full project management basis. Creating skeleton displays is an enriching experience for those involved and for those who have the opportunity to engage in a Cetacea project. Cetacea does not profit from the trade or sale of marine and terrestrial skeletons. Instead, Cetacea helps clients work with government agencies, offering experienced and professional service to facilitate the acquisition of skeletons for clients. Please contact Cetacea directly to learn about species by species options and to answer any questions on specimen acquisition. Effective specimen cleaning and preparation requires expertise and various factors determine the optimal method for cleaning a skeleton. Cetacea utilizes a range of cleaning methods from maceration techniques to enzymatic cleaning, burial and solvent-cleaning. 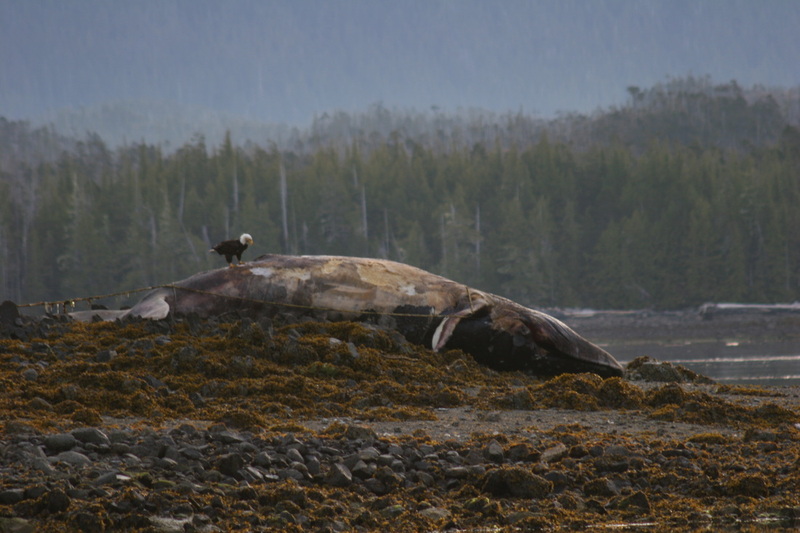 Taking measurements during fin whale necropsy. Articulation is a combination of science, engineering and art. Cetacea specializes in elegantly hidden internal armatures to create displays that are as dynamic as each subject is in nature. Cetacea mounts are world-renowned as some of the finest on display highlighting Cetacea's expertise in many areas including design, molding and casting, carving, painting, fine metalwork and basic engineering. Cetacea can work with your engineers or provide full services to carry out project installations. Experienced interpreters can enrich each phase of a skeleton project by offering unique and rewarding educational opportunities ranging from ecological interpretation to skills workshops.